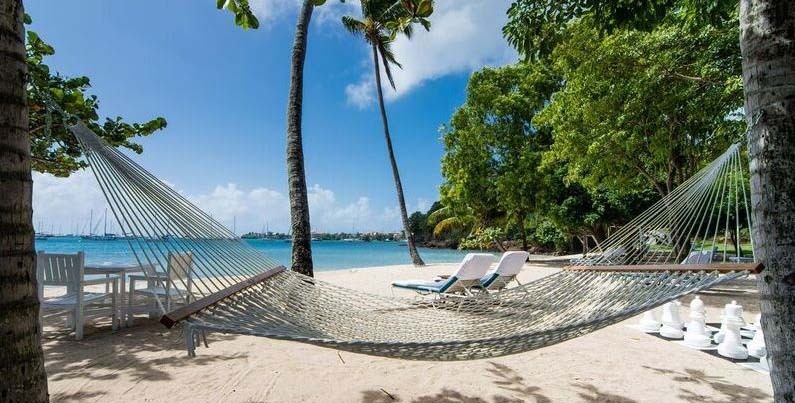 Set in a secluded bay on the Caribbean island of Grenada, the Calabash Grenada is a widely renowned hotel where guests enjoy the ultimate in pure elegance. Every luxury is on offer including breakfast on your private balcony prepared by your personal maid and fine dining at the famous Gary Rhodes Restaurant. The newly opened ‘Heaven and Earth’ spa overlooks the quiet beach and offers a wide range of lavish treatments. A holiday or vacation in Grenada at Calabash is full of peace, relaxation and privacy. Excellent service and attention to detail are key factors in the philosophy of endeavouring to exceed guests’ expectations. Located on the south coast of the island on L’Anse Aux Epines Bay, only seven minutes from the airport. The 30 suites have magnificent views of the gardens and the sea. Each one is beautifully decorated to create a relaxing and comfortable environment for guests. Amber Belair is a beautiful secluded peninsula situated directly to the west of The Calabash Hotel complex. Nestling on the water’s edge where the Atlantic Ocean meets the Caribbean Sea it offers one of the most tranquil, inspiring and secure locations in the Caribbean.